Amanda is a highly experienced fundraising professional with a proven track record in major account management, legacy fundraising and generating capital and revenue funding through trusts. 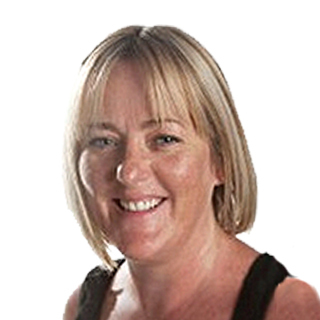 Amanda is a highly experienced fundraising professional with a proven track record in major account management, legacy fundraising and generating capital and revenue funding through trusts, statutory agencies and major corporate sponsors. Having personally raised in excess of over £4m, she has built a strong network of contacts and a sound reputation for highly effective project development and delivery. Amanda has over 9 years extensive experience of working within a charity and volunteer setting. Her role at the AHOY centre (Adventure, Help and Opportunities for Youth) was overall Manager for the charity, she was their first employee and within 5 years she was able to make it possible for over 15,000 disadvantaged and disabled young people to participate in water based educational sporting activities as well as raise funds to buy over 100 boats, large and small (from having only 2 when she initially started). She also recruited and managed 10 members of staff as the centre grew. This was achieved by researching and developing new streams of funding from major funders, trusts and individuals. Working at grass roots level within a brand new charity enabled her to develop her interpersonal and project/campaign skills as AHOY was mainly customer/beneficiary focused and deadline focused. A majority of income raised at AHOY centre was through trusts, foundations and corporate funders – her role was to research and compile lists of possible funders, apply and also use volunteers that she recruited and trained to also apply. Approaches were made initially verbally either over the phone or face to face then applications sent thus ensuring that no cold applications were sent and long term relationships built with stakeholders. Due to Amanda's successes at AHOY she has been working freelance (part time) for Westminster Boating Base for the last 3 years as their Fundraising and Development Manager ensuring its long term education sporting sustainability.